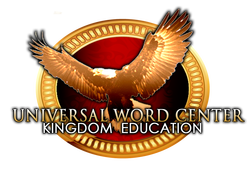 Universal Word Center (UWC) is here to train and equip you, the believer, to do the work of the ministry. We thank God that you now have the opportunity to receive a higher level of Christian education. Here you can be truly equipped to be used by God effectively without having to pay a large tuition fee. Our God is able, and with His help; time, money, distance and qualifications will not keep you from being trained in this dynamic Bible School. Universal Word Center was established to train those who are called to attend Bible School and need the opportunity to grow. Spiritual Warfare is a must and all students begin in “Boot camp”. The training will immediately bless those who principally desire more revelation of the Word of God. Students can receive the same rightly-divided Word of truth, without doctrinal, or denominational influence. Let’s go forth and get the job done.